Xanthocyparis vietnamensis recently discovered and classified by the Royal Botanic Gardens at Kew. For those of us who are over-curious, who crave discovery, especially with plants, the news that new species are still being discovered somehow is a bit reassuring. Two new everygreen plants, recently discovered are rather interesting, especially since the specimens discovered we’re rather mature. 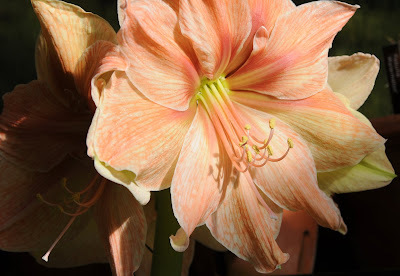 I am one who periodically o a bit romantic about the nineteenth century century botanical explorers, or even the modern day botanic explorers like Dan Hinkley. 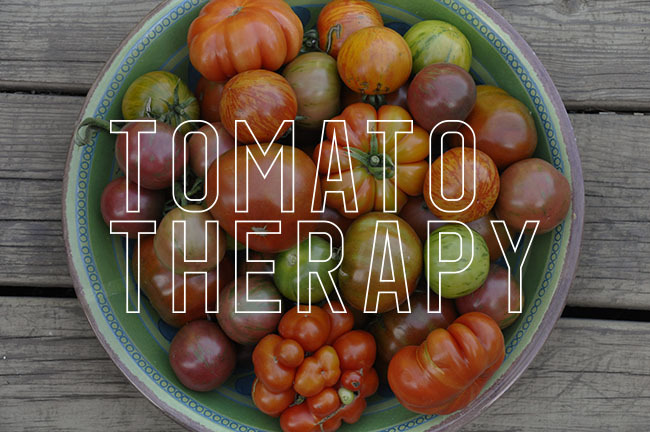 (oh, if only. ), but the realities of modern life requires many of us to work daily, do home repairs, pay the mortgage, etc, and the fantasy of taking off for six or so weeks to go exploring for new species in China or New Zealand has little chance of becoming a reality. Believe me, I keep trying to get invited on one of these ventures, hopefully one that would require perhaps 2 weeks, but nothing had become a reality, yet. 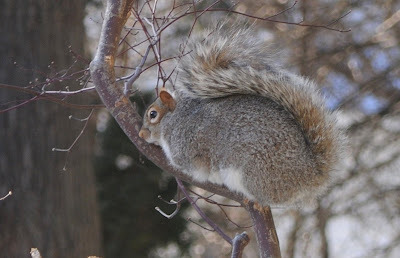 The discovery of truly new species are not not uncommon in the world of Instects, but major discoveries in the plant world ( trees, for instance), especially those with ornamental or commercial value, is rarer still. Take these two recent ( in the past ten years) discoveries, Xanthocyparis vietnamensis from Vietnam, and Wollemia nobilis, from New South Wales, in Australia. small population was believed to be threatened by selective logging. Sound familiar? But recent findings suggest that the population exists in a micro ecosystem on the highest ridges of the mountain range, and are in fact somewhat isolated from the dangers of both logging and fire. 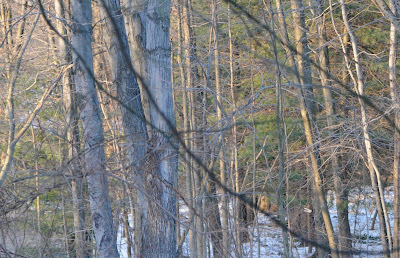 I know little beyond on-line research regarding the conservation status, but feel free to discover more for yourself here. This species is being introduced for testing at various Botanic gardens and research centers such as Kew. 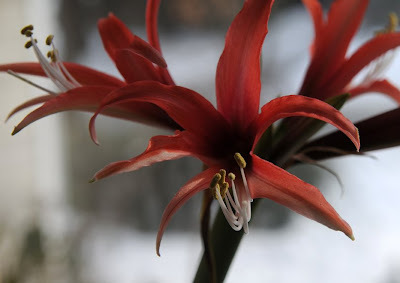 It has some promise as an ornamental, especially when young, since it has the curious morphological feature of having two different types of foliage, one when immature, and another when mature. 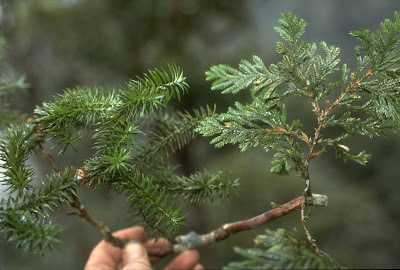 It appears that although more tender than others in the Xanthocyparis clan ( Xanthocyparis nootkatensis, the Alaskan Cedar, for instance formally Chamaecyparis nootkatensis), this species does show promise as a container plant in colder areas ( such as USDA zone 5), but this tree should do well in the Pacific North West. Wollemia nobilis from the Wollemi home page/University of Hamburg. 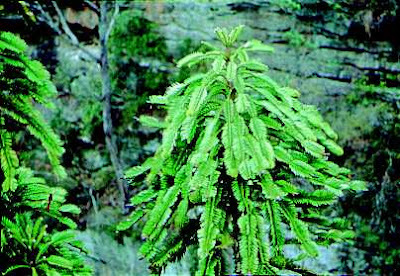 The other new species is the Wollemi Pine, which can now be found at a few on-line retailers, in the US, try Plant Delights Nursery. 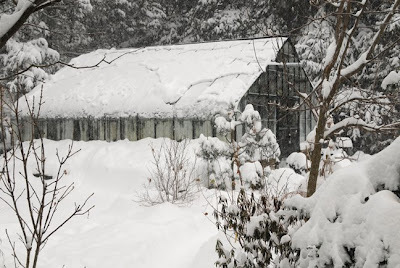 Last year, I listed some of my favorite current reading lists, and since it is winter, and cold, perhaps it's time again to get a wish list together and order some more books. In addition to these current titles, there are a few yet-to-be published titles that look interesting. Some forthcoming titles are worth looking out for. This new Kew Magazine Monograph looks terrific, it is edited by Martyn Rix, from the Kew Website " destined for gardeners, nurserymen, botanists, and lovers of botanical art. 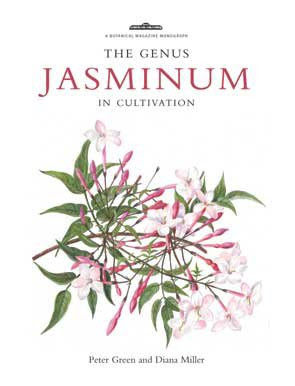 The Genus Jasminum details the historical and cultural use of jasmine, its role in perfumery and medicine, cultivation in temperate and tropical gardens, and taxonomy, including a key to cultivated species. Full colour illustrations, photographs and maps illustrate the tex.t". 166pp. 244 x 182mm. 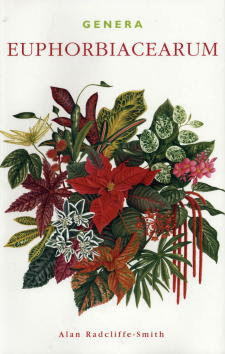 35 colour botanical paintings. 30 colour photographs. 18 line drawings. Hardcover. This soon to be published work also sounds great....I can't get enough tropical or species Rhododendron inspiration, but this may make me broke. 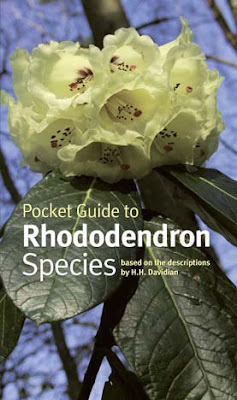 An enthusiast's guide, which profiles all the hardy Rhododendron and Azalea species in temperate zones throughout the world. At the heart of the book are 750 colour photographs, used to illustrate every aspect of the plants together with succinct descriptions which include flower colour and flowering time, habit, height, performance, and, critically, leaf characteristics to aid species identification when the plants are not in bloom. Based on the acclaimed descriptions of H.H. Davidian, the book nonetheless takes fully into account modern taxonomic revisions to the genus. 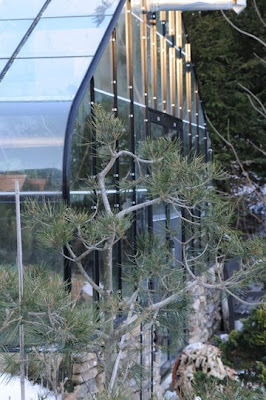 This yet to be published book on my list, which I am most excited about is an Alpine Plant monograh entitled: Alpines from Mountain to Garden, but I could not find a cover image for it yet. To be published in the Kew Botanical Monograph series, this book explores the geography, history, botany and cultivation of alpines and rock garden plants from around the world. The story of the discovery of alpine plants and their introduction into our gardens is a tale of exploration, adventure and perseverance. The book is arranged by geographical region, from Europe and North America, to China, Australasia, South America and Africa. Plant portraits look in detail at particular genera and species, accompanied by colour photographs and botanical illustrations. An attractively presented book, consisting of the first publication of the plant-hunting diaries of the botanical collector, Hugh Low, who visited Sarawak during the years 1844-1846. The work includes 66 fine colour reproductions of plant portraits which prove Low's ability as a botanical artist, and the scene is set by a useful introductory chapter about Low's life and work. 212pp. 160 x 225 mm. Hardback, with dust-jacket. This book is more art book than Monograph, but it looks inspirational. A richly illustrated catalogue, produced to accompany an exhibition of works by the two talented botanical artists and travellers on display at the Mona Bismarck Foundation in Paris from May-July 2007. Many of the paintings were previously unpublished in book form, making this an essential addition to the libraries of all interested in the work of Marianne North and Margaret Mee. The text is bilingual French/English. Marianne North was a remarkable Victorian painter, who, a hundred years ago, documented many of the plants which came to Kew from explorers. 184pp. Colour illustrations throughout. Paperback. This taxonomic account of all 339 genera currently recognized in the family, is illustrated with 50 full-page line drawings. Many of the generic descriptions are based on the work of the late Dr John Hutchinson, but the classification follows that of Webster as modified by the author. 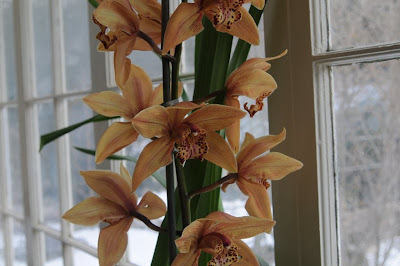 Cymbidiums are among the most important and popular orchids in horticulture. 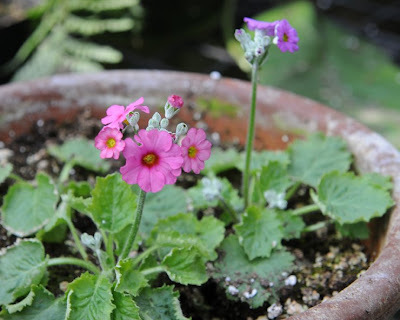 Starting in late Victorian England, the variety of form and colour in the species encouraged hybridisation that has provided a great diversity of novelties for the nursery trade over the years. They are versatile plants, marketed as cut-flowers, buttonholes and as pot plants, producing many large, long-lasting flowers. 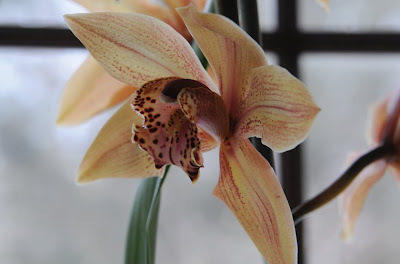 Cymbidium growing in the Far East can be traced back to the time of Confucius (about 500 BC), but the first species were only introduced to Europe and China at the end of the 18th century. Relatively few species were seen in cultivation in Britain until the time of the Industrial Revolution, which provided both the leisure time and the money for an explosion of interest in orchid growing. From the mid-19th century onwards, extensive exploration and collection of new species took place. 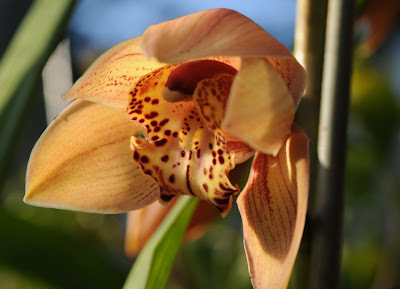 The genus Cymbidium currently comprises some 52 species distributed throughout south and east Asia, the Malay Archipelago and north and east Australia. A revised classification of the genus and an assessment of specific delimitation and nomenclature within the genus are presented in this monograph. The evidence from DNA data has clarified the relationships and classification of the species. 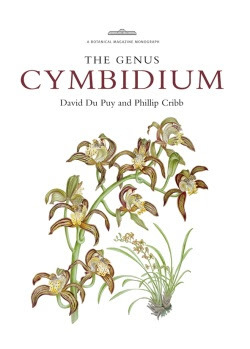 The resurgence of interest in Cymbidium species has highlighted the taxonomic questions that still remain in the genus. The recent rush of new species names in the literature is assessed and nomenclature is clarified. Extensive fieldwork in tropical and subtropical Asia, the Malay Archipelago and Australia has allowed the examination of many species in their wild habitats, contributing valuable information concerning the ecology, natural variation of wild populations and conservation assessments for Cymbidium species, and are provided here for the first time. Cymbidiums are easy to grow, undoubtedly one of the main reasons for their popularity in horticulture. 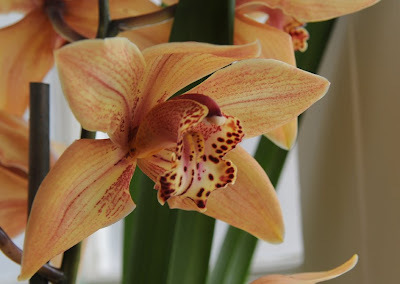 Suitable environmental conditions and composts for cultivation are recommended, while detailed cultivation techniques for the species are discussed by Michael Tibbs, a leading commercial orchid grower. 369pp. 254 x 185mm. 38 full colour paintings. 200+ maps. Hardback. 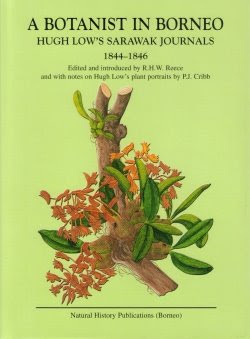 And another book on the remarkable flora of Mount Kinabalu in Borneo, the amazing National Park where the infamous Paphiopedilum sanderianum ( a species with three foot long sepals which collectors kill over and which brings FBI agents into greenhouses if one has a wild collected form), this book seems like a must have even though it may sound obscure. 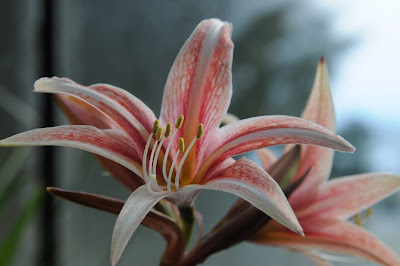 Since my greenhouse is cool, many of the plants in my collection happen to be from Mount Kinabalu, from Vireya species of tropical Rhododendrons, to Paphs and other orchids. As a companion to the other Mt. Kinabalu/Borneo book above, this book is pricey, but looks interesting. It has other companion books which address other genus. Since this is the most costly, since it has more color photos, it moves to the top of my list since I think it will be hard to find soon. The Plants of Mount Kinabalu provides an inventory of all vascular plants in the flora of Mount Kinabalu. 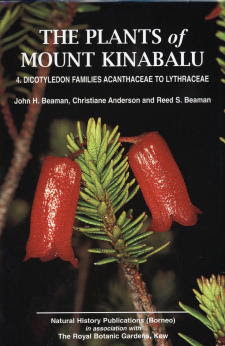 Volume 4 contains historical aspects of plant collecting on Kinabalu, a biographical sketch of two of the most important collectors, Mary Strong and Joseph Clemens, analysis of the collections, and enumeration of half the dicotyledons (83 families, 430 genera and 1575 species, subspecies and varieties - just over a quarter of the total Kinabalu flora). 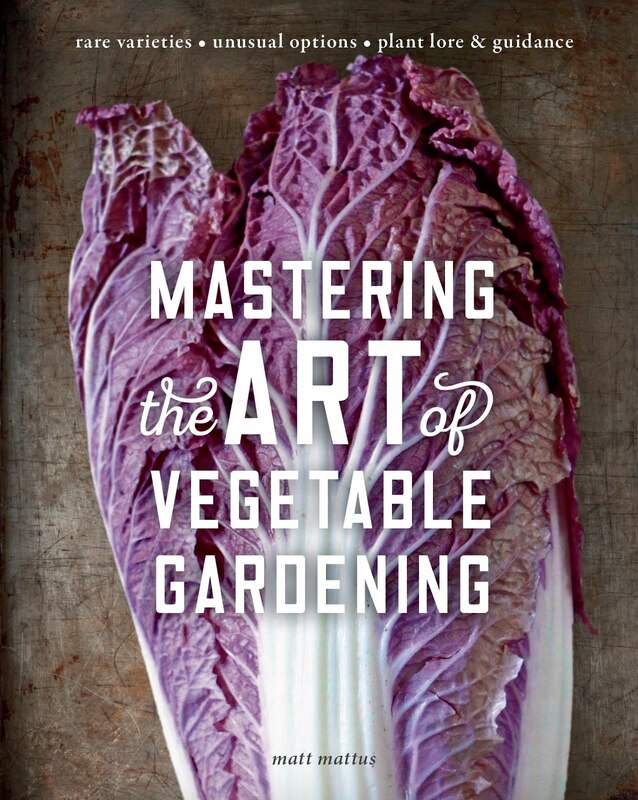 The book is particularly authoritative because of the collaboration of 25 noted specialists in various plant groups. Forty-five plates (containing over 170-colour photographs) enhance the text. 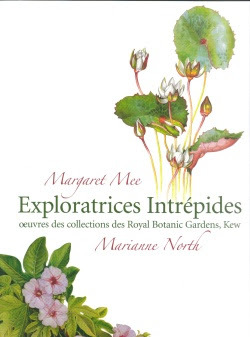 All are available at the Royal Botanic Gardens web site for Kew Books. 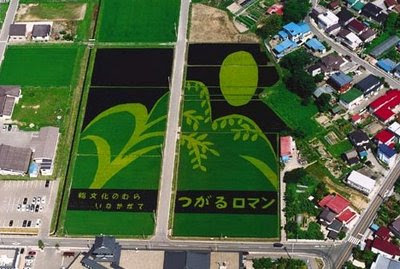 Rice farmers in Inkadate, Japan plant rice pictures, some are amazing. Others are commerical, but awesome. WIshing everyone a wonderfull great New Year. 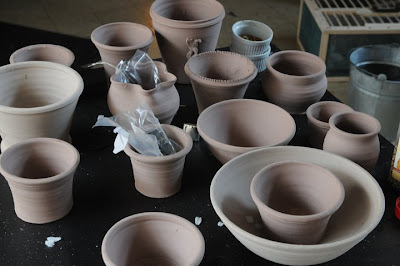 I'm busy working on my gardening book ( more on that later), and back to work this week, so I've been behind ( or I took a tiny leave) from the Blog posting. To hold you all over, here are some interesting photos from Flickr of inkadate, a rather new trend in Japan of planting rice varieties which grow in different colors, in rice fields. Farmers either rent their fields out as advertising, or they hire artists to make an installation. Rather nice, but so typically Japanese-ly strange. Here are what some have written about the trend in Japan. In the Japanese village of Inakadate in the Aomori prefecgture,villagers plant ancient varieties of rice. The green areas are tsugaru-roman, the local variety while the purple yellow and red areas consist of kodaimai, or ancient strains of rice. Inkadate Rice Fields is rather new, trend-wise. 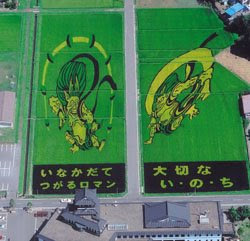 Not unlike corn paintings and crop circles, the ingenious farmers from Inakadate started planting artistic rice fields in 1993 after one farmer started and gained much publicity. 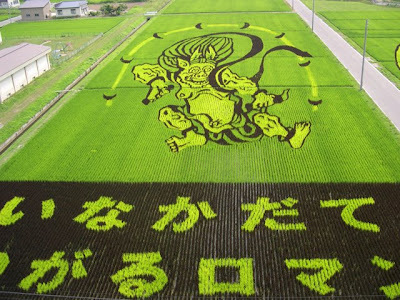 While the INKADATE has earned the title of the most popular town when it comes to decorating rice paddies, the small Japanese town is not alone. Farmers in Yonezawa, from the Yamagata Prefecture, as well as farmers from Nishio, in the Aichi Prefecture, plant artistic crops as well. Their works are incredible, but still pale in comparison next to the portraits painstakingly planted by the Inakadate farmers. Most Rice fields in Japan, and throughout much of Asia, are much more than a simple place to grow food. In some cultures, whether or not a farmer owns land on which to cultivate rice is symbolic of his stature in the class system and overall social hierarchy. They spend hours of time not only in the fields, but also blessing and decorating the granaries within which they’ll store the rice once it has been harvested. Today, modern technology has replaced some of the older traditions. Farmers aren’t as likely to conduct religious rituals in the fields or harvest their crops by hand. They instead embrace their culture by spending countless hours planning the layouts for rice fields that, in some cases, challenge the dedication of some of today’s finest modern artists. In the case of Inakadate, however, the project originally simply came about as part of a revitalization effort designed to help enhance the beauty of their small village- checking in with only 8,700 residents. They started with simple designs, such as a picture of Mount Iwaki, but later began challenging themselves as their skills grew and they became more confident in their work. In 2007, they attempted to recreate some of the famous woodblock prints created by Katsushika Hokusai in his series known as “Fugaku Sanjurokke,” which translates to “Thirty-six Views of Mount Fuji.” There are not enough words to describe the results of their marvelous efforts. HOW ARE ARTISTIC RICE FIELDS PLANTED? So how do they do it? Japanese farmers commonly grow a variety of rice, called tsugaru-roman, which buds with green leaves. 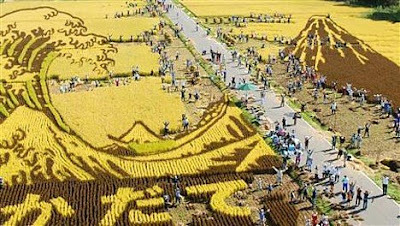 In order to design their crop art, they include kodaimai rice, which grows with purple and yellow leaves and provides the contrast needed to create lines and depth within the work of art. 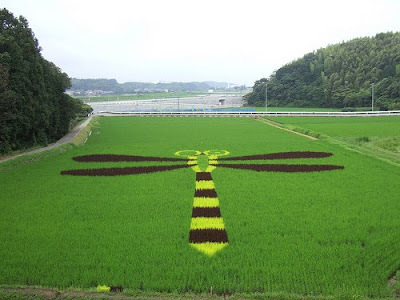 Some farmers incorporate brown and yellow rice into their field art as well.